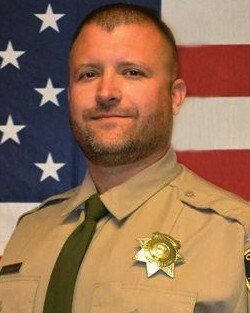 Deputy Sheriff Ryan Thompson was shot and killed in the city of Kittitas following a vehicle pursuit at approximately 7:45 pm. He had responded to a traffic complaint involving a road rage incident and attempted to stop the involved vehicle. The driver fled along I-90 and exited the interstate into Kittitas where a city officer joined the pursuit. The vehicle came to a stop in the area of North Pierce Street and 6th Avenue. The driver opened fire on the officers, fatally wounding Deputy Thompson and seriously wounding the Kittitas officer. The subject was shot and killed in the ensuing shootout. 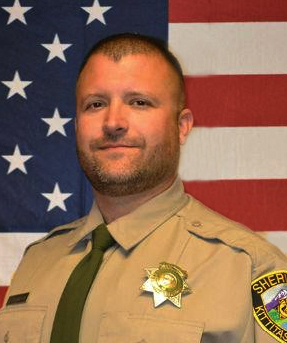 Deputy Thompson served in law enforcement for 12 years including time with the Kittitas Sheriffs Office's Correctional Facility and Central Washington University Police before becoming a Kittitas Sheriff's Deputy. He is survived by his wife and three children, his parents and three brothers. I grew up with Ryan. Our fathers retired together from the WWPD. We went to the academy together, and our lives will forever be entwine. We love you Rhino.